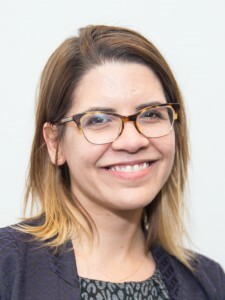 We are pleased to announce that ISGMH’s Dr. Michelle Birkett, assistant professor in the Department of Medical Social Sciences and director of the CONNECT Complex Systems and Health Disparities Research Program, has been appointed to the National Academies’ New Voices in Sciences, Engineering, and Medicine cohort. The National Academies of Sciences, Engineering, and Medicine are private, nonprofit institutions that provide expert advice on some of the most pressing challenges facing the nation and the world. Their work helps shape policies, inform public opinion, and advance the pursuit of science, engineering, and medicine. Dr. Birkett is one of eighteen science, engineering and medicine (SEM) leaders who were carefully selected for the New Voices initiative. The cohort will gather over a two-year period with a senior advisory committee to contribute their expertise and analysis in addressing emerging national and global challenges. This entry was posted in CONNECT Program, News and tagged CONNECT, Engineering, Medicine, Michelle Birkett, National Academies, New Voices, Science. Bookmark the permalink.